These results are automated and calculated from public and user-submitted property data. It only takes seconds and you’ll see the estimated home value immediately. Have you ever gone online to a real estate site to check out what your home value? Curious about nearby homes that are for sale or have recently sold? How about how much your home might be worth in the next two years? 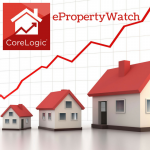 With ePropertyWatch, that information (and much more) comes directly to you. You already receive periodic statements that show you how your investments are performing — now, you can finally track and predict the equity growth in your home! It’s FREE and it’s from CoreLogic (a company used by major lenders and appraisers to help determine property values). At Assist-2-Sell, we highly recommend using PropertyWatch to estimate your home value. If you are seriously considering selling your home in the near future, request a no-obligation, professional consultation from our local real estate team. This will provide you with a much more reliable value estimate. We take into consideration specific factors about your home: improvements, upgrades, condition, etc. 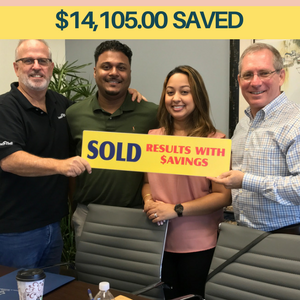 We can help you determine the highest possible selling price in today’s market in Coconut Creek, Coral Springs, Parkland, Boca Raton, and the rest of South Florida. We also prepare an “Estimated Seller Net Sheet.” This will itemize specific closing costs you will incur as a seller in Broward or Palm Beach County (state document Stamps, real estate commissions, Title Search Fees, Estoppel, etc.). You’ll have a much better idea of just how much you’ll walk away with after the sale. You’ll also see just how much money our flat-fee real estate agency will save you. *Please keep in mind, the real estate services listed on this page are all FREE and there is never an obligation. Your information will stay confidential. We don’t sell, distribute, or release your information to anyone. Please provide the following information so we can process your request..
By submitting this form with your telephone number, you are consenting for Assist 2 Sell and authorized representatives to contact you even if your name is on the Federal "Do-not-call List."